It seems cliché, but there is definitely a reason why this site has been named one of the Seven Wonders of the World. The ancient city was even more breathtaking than I expected and one of the most beautiful views I have ever seen. The city rests peacefully on the side of a mountain, and there is nothing else in sight for miles around except for green mountains and the clouds rolling beneath you. I would return in a heartbeat. If you are wanting to go, book your trip quickly- our tour guide told us that he thinks that Machu Picchu will stop giving tours in the next 5-10 years. He said that this is because of the amount of damage that humans are causing to the ruins and the deterioration that has come from it. The cuy, or guinea pig, is one of the highlights of Cusco’s cuisine. It isn’t seen as a delicacy, but more of a traditional food of the city. Although it sounds disgusting, eating cuy was one of my favorite experiences in Peru. I went to a restaurant chosen by one of my local Peruvian friends (having a local recommend a restaurant is a good idea- they are more likely to be able to tell which restaurants look questionable and which ones look safe), and I mentally prepared myself to eat the guinea pig while he ordered our food. The guinea pig is cooked whole, so when you get your plate, it is literally a full animal in front of you. The appearance was a little frightening with the head and limbs still attached, but it was definitely an experience to remember and it is one of my favorite stories to tell about my visit (people’s reactions are usually hilarious, especially if they’ve had a guinea pig as a pet at some point in their lives). You can’t leave Cusco without spending a night in one of their discotecas. Discotecas are basically techno-like dance clubs and are super common in the night life of Peru. It is an amazing feeling to dance the night away with all of your new friends to Spanish music, and it is even better if you find local friends to help you learn new salsa moves to go along with the beat. The atmosphere of the discotecas is very diverse- some have live music nights, some have face painting, and some have themed nights. There is always something new and fun going on, and it is best to take advantage of the new experiences you will encounter from visiting a new culture. 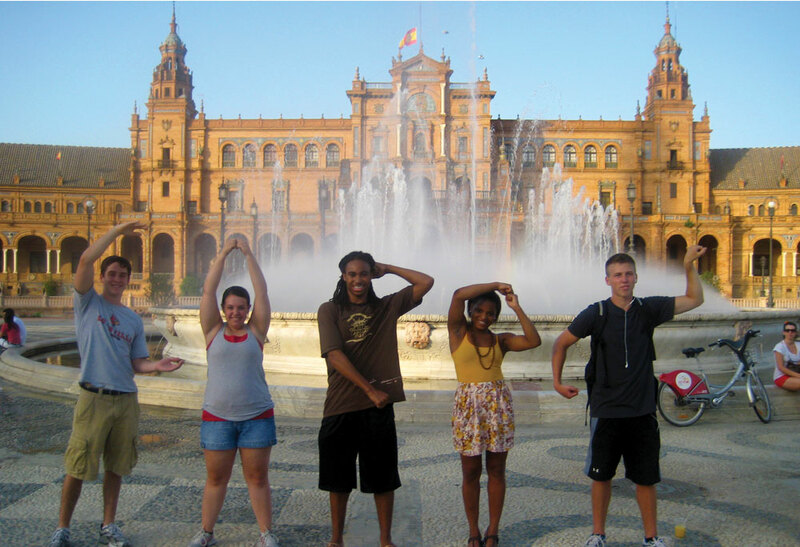 This entry was posted in Study Abroad by kmrube02. Bookmark the permalink.